The Travel Club is an association of independent, exploratory and creative travelers. We see travel as a tool for personal growth, an intimate learning experience, an opportunity to express creativity and a way of establishing personal bonds with the planet. 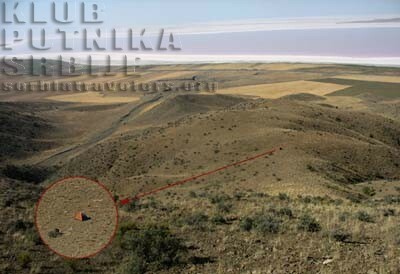 The club was initially started in Serbia, and functioned for eight years under the name "Serbia Travel Club". As we have grown to include members from other countries as well, the name of the organization has recently been changed. This will be followed by more extensive changes, one of which will be putting more focus on the English version of the website, at the moment very small and rudimentary. We are a non-profit organization dedicated to building and promoting travel culture on a global level. We do this through expeditions, workshops, multimedial travelogues, free travel dictionaries and guides, lectures, talks, photo exhibitions and media appearances. We promote travel as an educational and creative process that enables everyone to connect with the world, which makes it an activity of social significance. The information on the world outside our immediate context comes to us via mass media. These information - stories based on which we think and evaluate the world - are extremely biased, and often completely wrong. Based on them we build our mental map of the world. If our knowledge is generic, our map won't be much better. A map that doesn't stem from our personal experience and personal effort, but has been semi-digested and handed to us on a silver platter. A map on which medieval sea serpents have been replaced with contemporary spin stories and propaganda. What we know about the world determines, in great part, what we feel about it. And what we feel determines what we do. Wrong and partial information lead to a lack of understanding, which in turn leads to the feeling of dissociation and abstraction. If we perceive something as abstract and disconnected from ourselves, we are mostly indifferent to it and feel no responsibility whatsoever. And indifference, ignorance and insensitivity to the world we live in are not only irresponsible. They are also dangerous. Independent travel means getting out of the bubble of individual life, family, state, and an attempt at experiencing world personally and at first hand. Empty maps in our heads, featureless or dotted with a few stereotypes, this way become filled with personal elements each of which tells a single story, free from anyone's selfish interests. 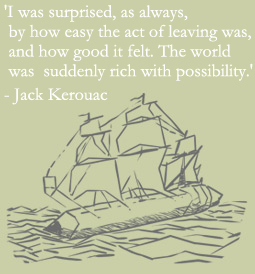 The world becomes something personal, something that belongs to us. And the understanding, compassion and the feeling of responsibility for the whole world become not only possible, but inevitable. 1) Preparation: reading books & articles, watching films, listening to music, gathering all sorts of information on the planned destination, local people, their beliefs, customs, tradition, history. Learning languages, poring over maps. Prior knowledge helps us understand everything we will see and experience on the road. 2) Traveling: observing, asking, discussing, poking our noses into less known corners of the planet, reflecting on everything seen and experienced. Exchanging a piece of ourselves for a piece of someone else. Helping everyone we can, so that that person would help someone else and so on. Understanding, relating, learning. Personal growth. 3) Upon return: sharing the newly acquired knowledge and experiences with others, in a creative way: by writing travelogues or other kinds of travel-related articles, composing photo galleries, lecturing, organizing photo exhibitions, publishing books etc. Independent traveler chooses the destination, composes the route and carries out his travel plan independently, without the help of commercial agencies. The traveler solves the logistical problems of finding accommodation, transport and food, has a modest travel budget and generally avoids the popular commonplace destinations of mass tourism, having the entire planet at his/her disposal. Serbia Travel Club advocates the idea that independent travel doesn’t have to cost more than staying at home, and should thus not be considered a luxury requiring months or years of saving; it is within everyone’s reach, and the only really indispensable resource is personal motivation. 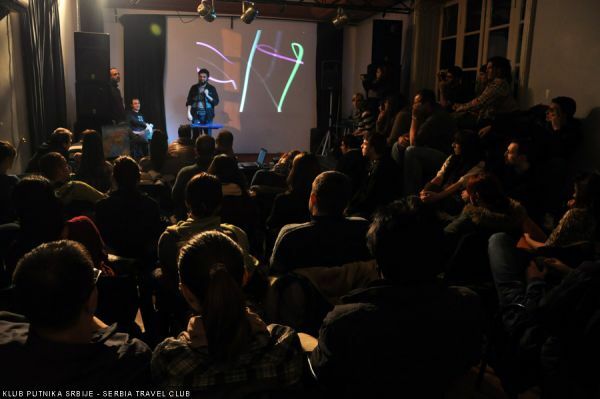 Hitchhiker's Guide to Serbia is a project made by joint effort of dozens of the Club members. It first came into being on our forum, and was later developed into a full guidebook. It contains detailed info on hitchhiking for 23 locations in Serbia: which road to take, where to find good hitchhiking spots, how to reach them and so on, accompanied with appropriate maps. Annual Gathering takes place in May, and so far there have been seven: in 2006, 2007, 2008, 2009, 2010, 2011 and 2012. The Annual Gathering is always a night hiking trip to a mountain in Serbia, so that the highest peak is reached just before the dawn. The gathering is usually attended by 60-80 persons. The idea behind this event is to gather all the Club members in one place, thus giving them the opportunity to share stories, experiences and ideas, as well as to discover a new mountain every year; it is also a great opportunity to meet new members. Since 2008, members gather informally on "Livadarenje", the event organized at the forum. It usually takes place in Autumn months. Expeditions can be done independently, in pairs or small groups. 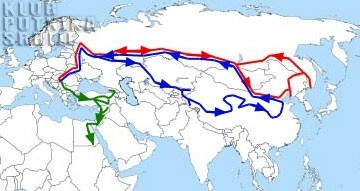 They can range from large transcontinental journeys lasting many months, to short daily trips around Serbia. The goal of every expedition, regardless of its route or destination(s), is to gain personal insights and get familiar with a certain location, person or phenomenon. Every expedition is followed by publishing the articles/photos, with the aim of sharing the acquired knowledge with wider audience. 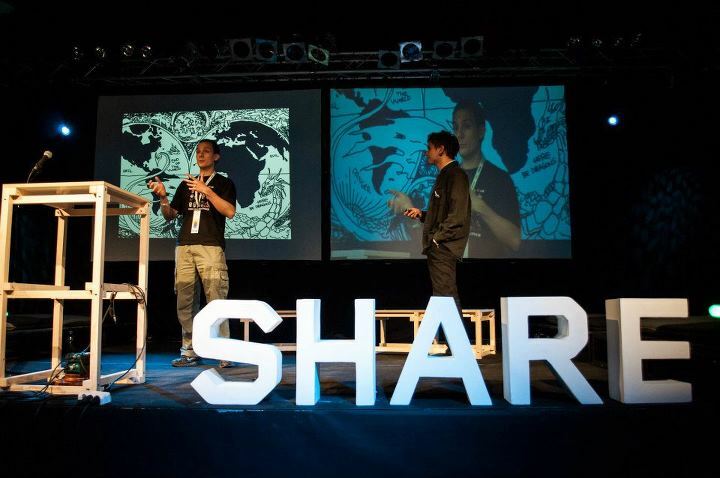 Conferences: our members participated in the SHARE2 conference, held in 2012 in Belgrade. We tried to show that with the help of new technology, travel is not only important to individual means for applying and understanding the world, but also the act of creation, the work and actions of wider social significance. Book “Unbeaten Paths” was published early in 2010, and contains a collection of travelogues from independent travels all around the world. The book has 17 authors (members of our Club) and 150 pages. The common denominator of all the texts is the unique approach: independent, shoestring travels with research dimension, often including hitchhiking, free accommodation and various other tricks. The book is only available in Serbian. 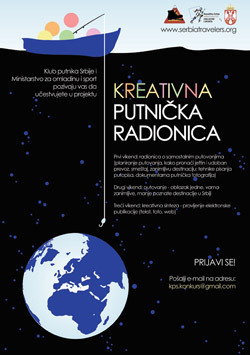 Creative Travel Workshop was a project carried out on behalf of the Serbian Ministry of Sports and Youth. It consisted of two parts. In the theoretical part, the workshop attendees (high school grad students from a number of places in Serbia) had the opportunity of getting acquainted with the idea and techniques of independent travels, collecting information, travel writing and photography. In the practical part, carried out in the field (the Uvac River canyon in South-western Serbia, and the surrounding villages) they had to apply their newly acquired knowledge and skills. The final output of the workshop was a short publication about that part of Serbia. 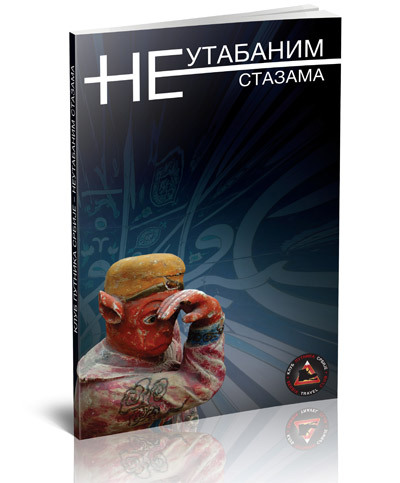 The publication is only available in Serbian, and can be downloaded here. Travel Dictionary is the result of our effort to provide Serbian travelers with free, downloadable traveler’s phrasebooks for a number of languages. Our phrasebook overcomes the usual shortcomings of standard, commercially available traveler’s phrasebooks. The project involved many Club members, and new languages are added regularly. The phrasebook is at the moment available in 21 languages, and can be seen here. Advice For Safe Travels is a brochure made in cooperation with the Serbian Ministry of the Internal Affairs. We were asked to assist in composing a brochure that would provide travelers from Serbia with all the necessary information on how to stay safe when traveling abroad. The (Serbian) e-version of this publication is available on the Ministry of Internal Affairs website. The Certificate of Acknowledgment to the Syrian Embassy in Belgrade was given to his Excellence the ambassador of the Arab republic of Syria, as a mean of showing our gratitude for the dedication, professionalism and above all friendliness of the staff of the embassy, which we have experienced a number of times. The short (Serbian) text with some photos from the event can be found here. TEDx Novi Sad talk was delivered in late 2011. Our member Uros Krcadinac talked about the philosophy of free travel, illustrated by a three-month long trip that was carried out by three Club members, on the African continent. The expedition encompassed Egypt, Sudan, Kenya, Tanzania, Uganda, Rwanda, Zambia and Namibia. The lecture is 18 minutes long and sums up the philosophy of the Serbia Travel Club, so we recommend you check it out (after you press "Play", hit "CC" for English subtitles). The Travel House was a two-month free accommodation project, organized in Istanbul by the Serbia Travel Club in July and August 2012. We collected money from the donations by our website visitors (a total of 2,404 euros) and rented a large apartment in central Istanbul. We hosted 224 travelers from 36 countries. Here you can find out more about the Travel House project. Here's an article about the Travel House, in English, written by Belgian journalist Does Vandousselaere. whose founder and president, Anton Krotov, was our guest. Lecturers from Serbia Travel Club andAcademy ofFree Travels talked about the essence of independent travel, its importance and different approaches and techniques, illustrated by a number of worldwide travels. Both lectures had a great turnout. In Pancevo we had an audience of 60, and in Belgrade of 150 visitors. Our website plays an important role in the life of the Club, and the contents of the Serbian version closely reflect the Club's activities. Travelogues by our members, articles on interesting locations all around the world, as well as news and information on planned and completed actions are published regularly. The site is the largest electronic base of travel information available in Serbian language. It currently has more than ten thousand pages and more than 80.000 (unique) monthly visitors (data from May 2012). The site also contains travel information and detailed instructions on different travel techniques, systematized data on visas and embassies, a collection of travel photographs and a very active forum where travelers get a chance to meet and share information, stories and experiences. It is the most popular gathering place of independent travelers from Serbia, as well as some surrounding countries. The English version of the website is only a fraction of the Serbian one, but we are working on it and it is soon to include many new, interesting and useful chapters. At the moment it contains some info on traveling in Serbia, the complete Hitchhikers’ Guide to Serbia, as well as travel info on a number of destinations in the country, including the instructions on how to get there, what to see etc. The English version of the website also contains the very few travelogues that have so far been translated into English, a detailed Serbian travel phrasebook and a quick guide to Serbian literature, as well as road/railway maps of Serbia etc. Since the English version of our website is still very small, we need your help in expanding it. If you have any travelogues from Serbia, have visited the country and feel like writing about it or have any idea how this website could be improved and be made more useful and resourceful for travelers, please let us know using the contact us page. Serbia Travel Club is a non-profit organization, funded by donations, online marketing and the sale of t-shirts, books and other trinkets (which is also a way of donating). No one has ever earned a dime through Serbia Travel Club, and all that’s ever been done was strictly voluntary work. All our profits are reinvested back into the Club, for the purposes such as printing books, brochures and posters, internet hosting, compulsory book-keeping expenses, renting out apartments for travel houses etc.